I am grateful to the London Gazette for making the citations available on the Internet and appreciate the privilege of reading them. Note: The Naval Victoria Cross had a blue ribbon (below left) until April 1918 when, with the formation of the RAF, all recipients received the same crimson ribbon which we are familiar with today (right). After May 1920, all living holders of the Naval VC had to exchange their ribbons for the crimson. For most conspicuous bravery on the 28th November 1914 when in command of the searching and demolition operations at Dar es Salaam, East Africa. Though severely wounded several times his fortitude and resolution enabled him to continue to do his duty inspiring all by his example until at his eighth wound he became unconscious The interval between his first and last severe wound was between twenty and twenty five minutes. 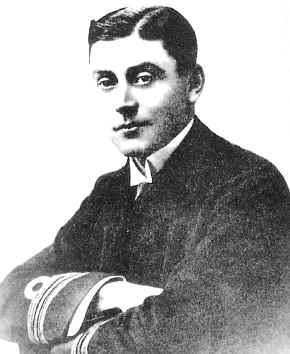 For most conspicuous bravery on the 13th December, when in command of the Submarine B.11, he entered the Dardanelles, and, notwithstanding the very difficult current, dived his vessel under five rows of mines and torpedoed the Turkish battleship Messudiyeh, which was guarding the mine-field. To be Companion of the Distinguished Service Order. The KING has been graciously pleased to approve of the grant of the Victoria Cross to Lieutenant-Commander (now Commander) Eric Gascoigne Robinson, R.N., for the conspicuous act of bravery specified below. Lieutenant-Commander Robinson on the 26th February advanced alone, under heavy fire, into an enemy's gun position, which might well have been occupied, and destroying a four-inch gun, returned to his party for another charge with which the second gun was destroyed. Lieutenant-Commander Robinson would not allow members of his demolition party to accompany him, as their white uniforms rendered them very conspicuous. Lieutenant-Commander Robinson took part in four attacks on the mine fields— always under heavy fire. Landing at V Beach.—This beach, it was anticipated, would be the most difficult to capture; it possessed all the advantages for defence which W beach had, and in addition the flanks were strongly guarded by the old castle and village of Seddul Bahr on the east and perpendicular cliffs on the west; the whole foreshore was covered with barbed wire entanglements which extended in places under the sea. The position formed a natural amphitheatre with the beach as stage. The first landing here, as at all other places, was made in boats, but the experiment was tried of landing the remainder of the covering force by means of a collier, the River Clyde. This steamer had been specially prepared for the occasion under the directions of Commander Edward Unwin; large ports had been cut in her sides and gangways built whereby the troops could reach the lighters which were to form a bridge on to the beach. V beach was subjected to a heavy bombardment similarly to W beach, with the same result, i.e., when the first trip attempted to land they were met with a murderous fire from rifle, pom-pom and machine gun, which was not opened till the boats had cast off from the steamboats. A landing on the flanks here was impossible and practically all the first trip were either killed or wounded, a few managing to find some slight shelter under a bank on the beach; in several boats all were either killed or wounded; one boat entirely disappeared, and in another there were only two survivors. Immediately after the boats had reached the beach the River Clyde was run ashore under a heavy fire rather towards the eastern end of the beach, where she could form a convenient breakwater during future landing of stores, &c.
As the River Clyde grounded, the lighters which were to form the bridge to the shore were run out ahead of the collier, but unfortunately they failed to reach their proper stations and a gap was left between two lighters over which it was impossible for men to cross; some attempted to land by jumping from the lighter which was in position into the sea and wading ashore; this method proved too costly, the lighter being soon heaped with dead and the disembarkation was ordered to cease. The troops in the River Clyde were protected from rifle and machine-gun fire and were in comparative safety. Commander Unwin, seeing how things were going, left the River Clyde and, standing up to his waist in water under a very heavy fire, got the lighters into position; he was assisted in this work by Midshipman G. L. Drewry, R.N.R., of H.M.S. 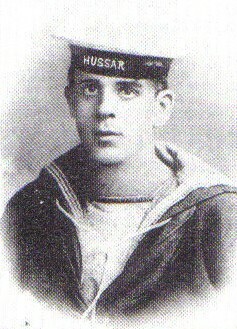 Hussar; Midshipman W. St. A. Malleson, R.N., of H.M.S. Cornwallis: Able Seaman W. C. Williams, O.N. 186774 (R.F.R. 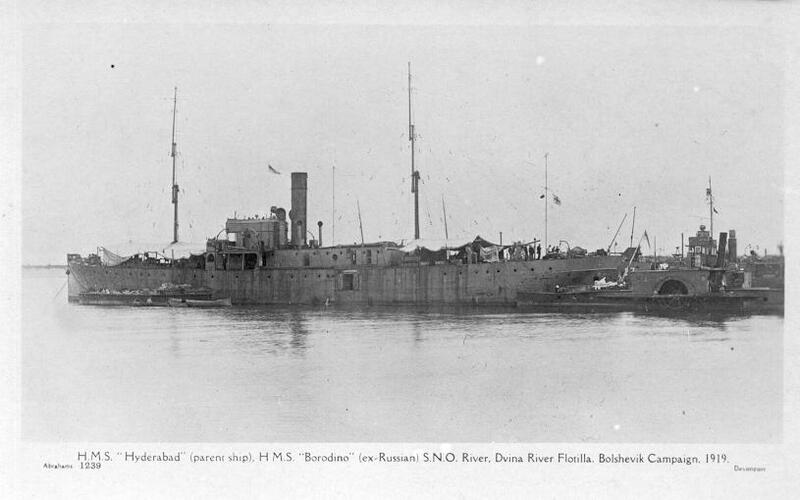 B.3766), and Seaman R.N.R. George McKenzie Samson, O.N. 2408A, both of H.M.S. Hussar. The bridge to the shore, though now passable, could not be used by the troops, anyone appearing on it being instantly shot down, and the men in River Clyde remained in her till nightfall. At 9.50 a.m. Albion sent in launch and pinnace manned by volunteer crews to assist in completing the bridge, which did not quite reach the beach; these boats, however, could not be got into position until dark owing to heavy fire. It had already been decided not to continue to disembark on V Beach, and all other troops intended for this beach were diverted to W.
The position remained unchanged on V beach throughout the day, men of war and the maxims mounted in River Clyde doing their utmost to keep down the fire directed on the men under partial shelter on the beach. During this period many heroic deeds were performed in rescuing wounded men in the water. During the night of the 25th-26th the troops in River Clyde were able to disembark under cover of darkness and obtain some shelter on the beach and in the village of Seddul Bahr, for possession of which now commenced a most stubborn fight. The fight continued, supported ably by gunfire from H.M.S. Albion, until 1.24 p.m., when our troops had gained a position from which they assaulted hill 141, which dominated the situation. Albion then ceased fire, and the hill, with old fort on top, was most gallantly stormed by the troops, led by Lieutenant-Colonel C. H. H. Doughty-Wylie, General Staff, who fell as the position was won. The taking of this hill effectively cleared the enemy from the neighbourhood of the V Beach, which could now be used for the disembarkation of the allied armies. The capture of this beach called for a display of the utmost gallantry and perseverance from the officers and men of both services—that they successfully accomplished their task bordered on the miraculous. While in River Clyde, observing that the lighters which were to form the bridge to the shore had broken adrift, Commander Unwin left the ship and under a murderous fire attempted to get the lighters into position. He worked on until, suffering from the effects of cold and immersion, he was obliged to return to the ship, where he was wrapped up in blankets. Having in some degree recovered, he returned to his work against the doctor's order and completed it. He was later again attended by the doctor for three abrasions caused by bullets, after which he once more left the ship, this time in a lifeboat, to save some wounded men who were lying in shallow water near the beach. He continued at this heroic labour under continuous fire, until forced to stop through pure physical exhaustion. Assisted Commander Unwin at the work of securing the lighters under heavy rifle and maxim fire. He was wounded in the head, but continued his work and twice subsequently attempted to swim from lighter to lighter with a line. 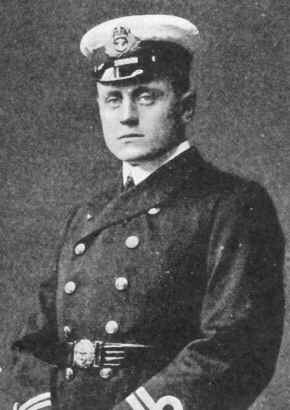 Also assisted Commander Unwin, and after Midshipman Drewry had failed from exhaustion to get a line from lighter to lighter, he swam with it himself and succeeded. The line subsequently broke, and he afterwards made two further but unsuccessful attempts at his self-imposed task. Held on to a line in the water for over an hour under heavy fire, until killed. Worked on a lighter all day under fire, attending wounded and getting out lines; he was eventually dangerously wounded by maxim fire. 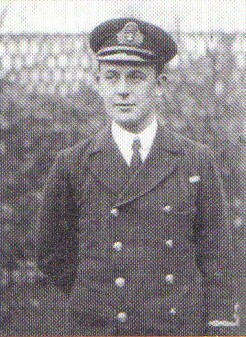 Midshipman Wilfred St. Aubyn Malleson, R.N. Midshipman George Leslie Drewry, R.N.R. Able Seaman William Chas. Williams, O.N. 186774 (R.F.R. B.3766) (since killed). Seaman R.N.R. George McKenzie Samson, O.N. 2408A. Sub-Lieutenant Arthur Waldene St. Clair Tisdall, R.N.V.R. (killed in action) (left (DH)). During the landing from the S.S. River Clyde at V Beach in the Gallipoli Peninsula on the 25th April, 1915, Sub-Lieutenant Tisdall, hearing wounded men on the beach calling for assistance, jumped into the water and, pushing a boat in front of him, went to their rescue. He was, however, obliged to obtain help, and took with him on two trips Leading Seaman Malia and on other trips Chief Petty Officer Perring and Leading Seamen Curtiss and Parkinson. In all Sub Lieutenant Tisdall made four or five trips between the ship and the shore, and was thus responsible for rescuing several wounded men under heavy and accurate fire. Owing to the fact that Sub-Lieutenant Tisdall and the platoon under his orders were on detached service at the time, and that this Officer was killed in action on the 6th May, it has only now been possible to obtain complete information as to the individuals who took part in this gallant act. Of these, Leading Seaman Fred Curtiss, O.N. Dev. 1899. has been missing since the 4th June, 1915. Chief Petty Officer (now Sub Lieutenant) William Henry Perring, R.N.V.R. Leading Seaman James Malia, K.P. 760. Lce.-Corpl. Walter Richard Parker R.M.L.I., No. Po./S. 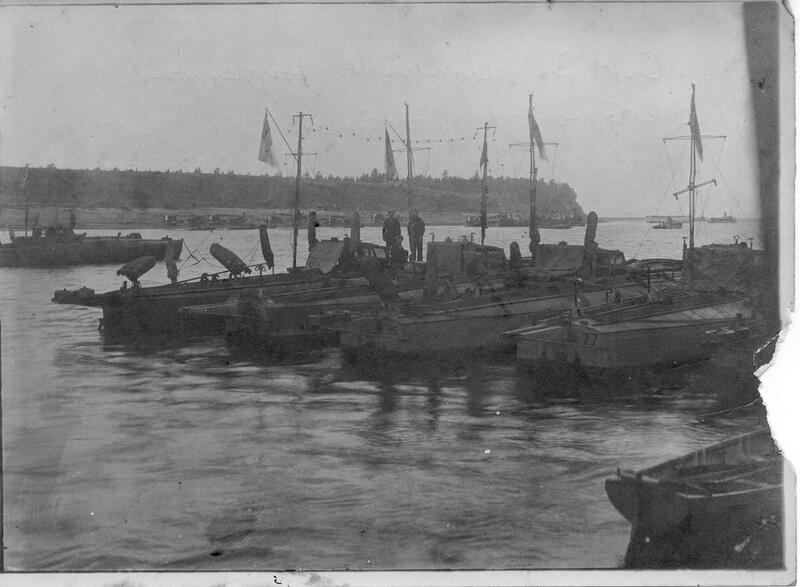 229, Royal Naval Division (left (DH)). In recognition of his most conspicuous bravery and devotion to duty in the course of the Dardanelles operations. On the night of 30th April/1st May, 1915, a, message asking for ammunition, water and medical stores was received from an isolated fire trench at Gaba Tepe. A party of Non-commissioned Officers and men were detailed to carry water and ammunition, and, in response to a call for a volunteer from among the stretcher bearers, Parker at once came forward; he had during the previous three days displayed conspicuous bravery and energy under fire whilst in charge of the Battalion stretcher bearers. Several men had already been killed in a previous attempt to bring assistance to the men holding the fire trench. To reach this trench it was necessary to traverse an area at least four hundred yards wide, which was completely exposed and swept by rifle fire. It was already daylight when the party emerged from shelter and at once one of the men was wounded: Parker organised a stretcher party and then going on alone succeeded in reaching the fire trench, all the water and ammunition carriers being either killed or wounded. After his arrival he rendered assistance to the wounded in the trench, displaying extreme courage and remaining cool and collected in very trying circumstances. The trench had finally to be evacuated and Parker helped to remove and attend the wounded, although he himself was seriously wounded during, this operation. For most conspicuous bravery, in command of Submarine E. 14, when he dived his vessel under the enemy minefields and entered the Sea of Marmora on the 27th April, 1915. In spite of great navigational difficulties from strong currents, of the continual neighbourhood of hostile patrols, and of the hourly danger of attack from the enemy, he continued to operate in the narrow waters of the Straits and succeeded in sinking two Turkish gunboats and one large military transport. 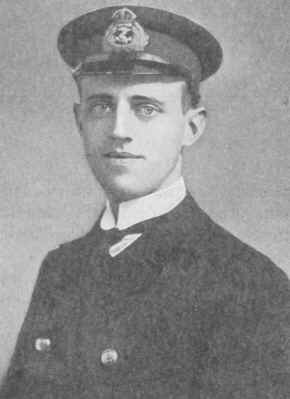 Lieutenant Edward Geldard Stanley, Royal Navy. Acting Lieutenant Reginald Wilfred Lawrence, Royal Naval Reserve. Approval has also been given for the award of the Distinguished Service Medal to each member of the crew of E. 14. For most conspicuous bravery in command of one of His Majesty's Submarines while operating in the Sea of Marmora. In the face of great danger he succeeded in destroying one large Turkish gunboat, two transports, one ammunition ship and three storeships, in addition to driving one storeship ashore. When he had safely passed the most difficult part of his homeward journey he returned again to torpedo a Turkish transport. Lieutenant Guy D'Oyly-Hughes, Royal Navy. Acting Lieutenant Robert Brown, Royal Naval Reserve. Approval has also been given for the award of the Distinguished Service Medal to each member of the crew. For most conspicuous bravery on the 7th June, 1915, when he attacked and, single-handed, completely destroyed a Zeppelin in mid-air. This brilliant achievement was accomplished after chasing the Zeppelin from the coast of Flanders to Ghent, where he succeeded in dropping his bombs on to it from a height of only one or two hundred feet. One of these bombs caused a terrific explosion which set the Zeppelin on fire from end to end, but at the same time overturned his Aeroplane and stopped the engine. In spite of this he succeeded in landing safely in hostile country, and after 15 minutes started his engine and returned to his base without damage. Lieutenant Frederick Parslow, R.N.R. For most conspicuous gallantry and devotion to duty when in command of the Horse Transport Anglo-Californian on the 4th July, 1915. 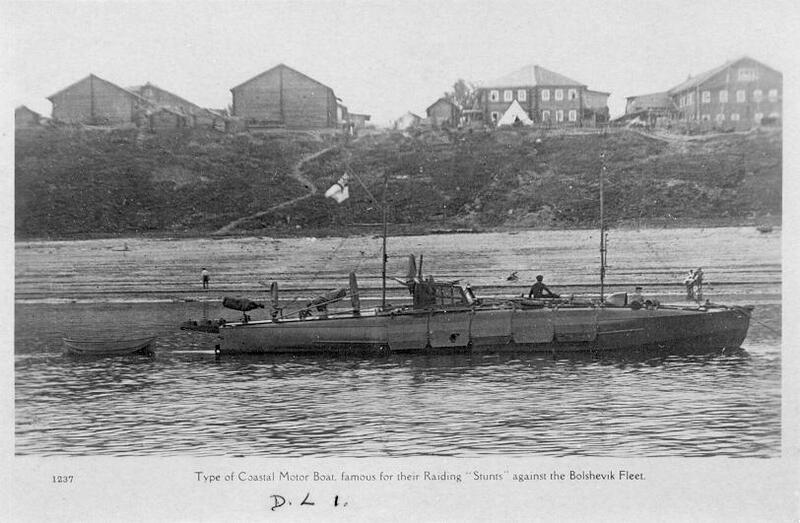 At 8 a.m. on 4th July, 1915, a large submarine was sighted on the port beam at a distance of about one mile. The ship, which was entirely unarmed, was immediately manoeuvred to bring the submarine astern; every effort was made to increase speed, and an S.O.S. call was sent out by wireless, an answer being received from a man-of-war. At 9 a.m. the submarine opened fire, and maintained a steady fire, making occasional hits, until 10.30 a.m., meanwhile Lieutenant Parslow constantly altered course and kept the submarine astern. At 10 30 am the enemy hoisted the signal to abandon the vessel as fast as possible, and in order to save life Lieutenant Parslow decided to obey, and stopped engines to give as many of the the crew as wished an opportunity to get away in the boats On receiving a wireless message from a destroyer, however, urging him to hold on as long as possible, he decided to get way on the ship again The submarine then opened a heavy fire on the bridge and boats with guns and rifles, wrecking the upper bridge, killing Lieutenant Parslow, and carrying away one of the port davits, causing the boat to drop into the sea and throwing its occupants into the water. At about 11am two destroyers arrived on the scene, and the submarine dived. Throughout the attack Lieutenant Parslow remained on the bridge, on which the enemy fire was concentrated, entirely without protection, and by his magnificent heroism succeeded, at the cost of his own life, in saving a valuable ship and cargo for the country, He set a splendid example to the officers and men of the Mercantile Marine. On the 28th September, 1915, the river gunboat Comet had been ordered with other gunboats to examine and, if possible, destroy an obstruction placed across the river by the Turks. When the gunboats were approaching the obstruction a very heavy rifle and machine gun fire was opened on them from both banks. An attempt to sink the centre dhow of the obstruction by gunfire having failed, Lieutenant-Commander Cookson ordered the Comet to be placed alongside, and himself jumped on to the dhow with an axe and tried to cut the wire hawsers connecting it with the two other craft forming the obstruction. He was immediately shot in several places and died within a very few minutes. On the 19th November these two officers carried out an air attack on Ferrijik Junction. Flight Sub-Lieutenant Smylie's machine was received by very heavy fire and brought down. The pilot planed down over the station, releasing all his bombs except one, which failed to drop, simultaneously at the station from a very low altitude. Thence he continued his descent into the marsh. On alighting he saw the one unexploded bomb, and set fire to his machine, knowing that the bomb would ensure its destruction. He then proceeded towards Turkish territory. At this moment he perceived Squadron-Commander Davies descending, and fearing that he would come down near the burning machine and thus risk destruction from the bomb, Flight Sub-Lieutenant Smylie ran back and from a short distance exploded the bomb by means of a pistol bullet. Squadron-Commander Davies descended at a safe distance from the burning machine, took up Sub-Lieutenant Smylie, in spite of the near approach of a party of the enemy, and returned to the aerodrome, a feat of airmanship that can seldom have been equalled for skill and gallantry. Lieutenant Humphrey Osbaldeston Brooke Firman, R.N. Lieutenant-Commander Charles Henry Cowley, R.N.V.R. 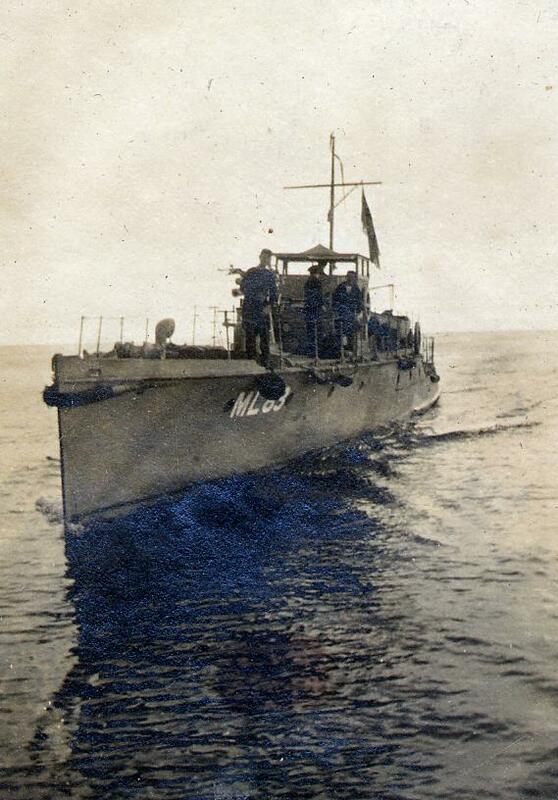 At 8 p.m. on April 24th, 1916, with a crew from the Royal Navy under Lieutenant Firman, R.N., assisted by Lieutenant-Commander Cowley, R.N.V.R., the Julnar, carrying 270 tons of supplies, left Falahiyah in an attempt to reach Kut. Her departure was covered by all Artillery and machine gun fire that could be brought to bear, in the hope of distracting the enemy's attention. She was, however, discovered and shelled on her passage up the river. At 1 a.m. on the 25th General Townshend reported that she had not arrived, and that at midnight a burst of heavy firing had been heard at Magasis, some 10 miles from Kut by river, which had suddenly ceased. There could be but little doubt that the enterprise had failed, and the next day the Air Service reported the Julnar in the hands of the Turks at Magasis. The leaders of this brave attempt Lieutenant H. O. B. Firman, R.N., and his assistant - Lieutenant-Commander C. H. Cowley, R.N.V.R. - the latter of whom throughout the campaign in Mesopotamia performed magnificent service in command of the Mejidieh - have been reported by the Turks to have been killed; the remainder of the gallant crew, including five wounded, are prisoners of war. Knowing well the chances against them, all the gallant officers and men who manned the Julnar for the occasion were volunteers. I trust that.the services in this connection of Lieutenant H. O. B. Firman, R.N., and Lieutenant-Commander C. H. Cowley, R.N.V.R., his assistant, both of whom were unfortunately killed, may be recognised by the posthumous grant of some suitable honour. Recommended for posthumous Victoria Cross. Whilst mortally wounded and almost the only survivor after the explosion of an enemy shell in Q gunhouse , with great presence of mind and devotion to duty ordered the magazine to be flooded, thereby saving the ship. He died shortly afterwards. Commander Loftus William Jones, R.N. Recommended for posthumous honour. For fighting his ship until she sank after having been seriously wounded. Major Francis John William Harvey, R.M.L.I, (killed in action). With reference to the Despatch of Admiral Sir John Jellicoe, G.C.B., G.C.V.O., Commander-in-Chief, Grand Fleet, published in the London Gazette of Thursday, 6th July, 1916, the following awards have been approved in connection with the recommendations of the Commander-in-Chief for services rendered by Petty Officers and men of the Grand Fleet in the action in the North Sea on the 31st May-1st June, 1916. Mortally wounded early in the action, Boy, First Class, John Travers Cornwell remained standing alone at a most exposed post, quietly awaiting orders, until the end of the action, with the gun's crew dead and wounded all round him. His age was under sixteen and a half years. The KING has been graciously pleased to approve of the posthumous grant of the Victoria Cross to the undermentioned Officer in recognition of his most conspicuous bravery and devotion to duty in the course of the Battle of Jutland. The full facts have only now been ascertained. Commander Loftus William Jones, R.N. 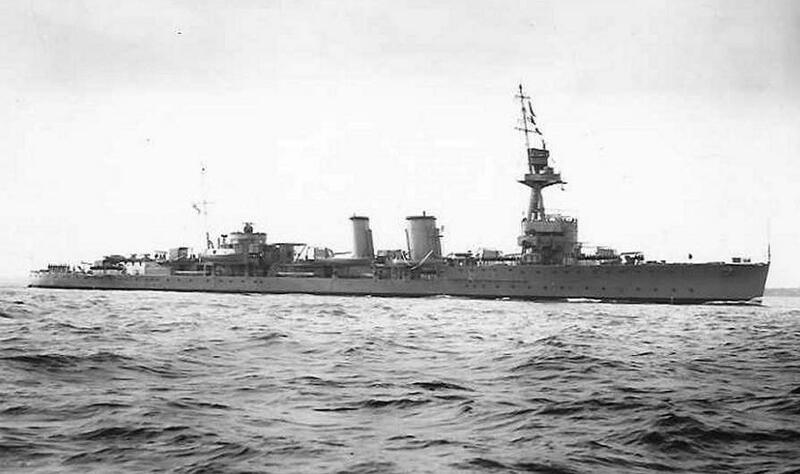 ex-HMS Shark (above (NP)) (killed in action). On the afternoon of the 31st May, 1916, during the action, Commander Jones in H.M.S. Shark, Torpedo Boat Destroyer , led a division of Destroyers to attack the enemy Battle Cruiser Squadron. In the course of this attack a shell hit the Shark's bridge, putting the steering gear out of order, and very shortly afterwards another shell disabled the main engines, leaving the vessel helpless. The Commanding Officer of another Destroyer, seeing the Shark's plight, came between her and the enemy and offered assistance, but was warned by Commander Jones not to run the risk of being almost certainly sunk in trying to help him. Commander Jones, though wounded in the leg, went aft to help connect and man the after wheel. Meanwhile the forecastle gun with its crew had been blown away, and the same fate soon afterwards befell the after gun and crew. Commander Jones then went to the midship and only remaining gun, and personally assisted in keeping it in action. All this, time the Shark was subjected to very heavy fire from enemy light cruisers and destroyers at short range. The gun's crew of the midship gun was reduced to three, of whom an Able Seaman was soon badly wounded in the leg. A few minutes later Commander Jones was hit by a shell, which took off his leg above the knee, but he continued to give orders to his gun's crew, while a Chief Stoker improvised a tourniquet round his thigh. Noticing that the Ensign was not properly hoisted, he gave orders for another to be hoisted. Soon afterwards, seeing that the ship could not survive much longer, and as a German Destroyer was closing, he gave orders for the surviving members of the crew to put on lifebelts. Almost immediately after this order had been given, the Shark was struck by a torpedo and sank. Commander Jones was unfortunately not amongst the few survivors from the Shark, who were picked up by a neutral vessel in the night. Sto. P.O. Charles Filleul, O.N.-292779 (Po.). A.B. Charles Cleeberg Hope, O.N.238376 (Po.). A.B. Charles Herbert Smith, O.N.J.13416 (Po.). A.B. Joseph Owen Glendower Howell, 6.N.230192 (Po.). Sto., 1st Cl, Thomas Wilton Swan, O.N.K.26567 (Po.). P.O. William Charles Richard Griffin, O.N. 201404 (Po.). Capt. (temp. Lt.-Col.) Bernard Cyril Freyberg, D.S.O., R. W. Surr. R. and R.N.D. For most conspicuous bravery and brilliant leading as a Battalion Commander. By his splendid personal gallantry he carried the initial attack straight through the enemy's front system of trenches. Owing to mist and heavy fire of all descriptions, Lieutenant-Colonel Freyberg's command was much disorganised after the capture of the first objective. He personally rallied and re-formed his men, including men from other units who had become intermixed. He inspired all with his own contempt of danger. At the appointecd time he led his men to the successful assault of the second objective—many prisoners being captured. During this advance he was twice wounded. He again rallied and re-formed all who were with him, and although un-supported in a very advanced position, he held his ground for the remainder of the day, and throughout the night, under heavy artillery and machine gun fire. When reinforced on the following morning, he organised the attack on a strongly fortified village and showed a fine example of dash in personally leading the assault, capturing the village and five hundred prisoners. In this operation he was again wounded. Later in the afternoon, he was again wounded severely, but refused to leave the line till he had issued final instructions. The personality, valour and utter contempt of danger on the part of this single Officer enabled the lodgment in the most advanced objective of the Corps to be permanently held, and on this point d'appui the line was eventually formed. In recognition of his conspicuous gallantry, consummate coolness, and skill in command of one of H.M. ships in action. Action of H.M.S. Q5 on the 17th February, 1917. On the 17th February, 1917, H.M.S. Q5, under the command of Commander Campbell, D.S.O., R..N., was struck by a torpedo abreast of No. 3 hold. Action stations were sounded and the ''panic party'' abandoned ship. The engineer officer reported that the engine-room was flooding, and was ordered to remain at his post as long as possible, which he and his staff, several of whom were severely wounded, most gallantly did. The submarine was observed on the starboard quarter 200 yards distant, watching the proceedings through his periscope. He ran past the ship on the starboard side so closely that the whole hull was visible beneath the surface, finally emerging about 300 yards on the port bow. The enemy came down the port side of the ship, and fire was withheld until all guns could bear at point blank range. The first shot beheaded the captain of the submarine as he was climbing out of the conning tower, and the submarine finally sank with conning tower open and crew pouring out. One officer and one man were rescued on the surface and taken prisoner, after which the boats were recalled and all hands proceeded to do their utmost to keep the ship afloat. A wireless signal for assistance had been sent out when (but not until) the fate of the submarine was assured, and a destroyer and sloop arrived a couple of hours later and took Q.5 in tow. She was finally beached in safety the following evening. The action may be regarded as the supreme test of naval discipline. The chief engineer and engine-room watch remained at their posts to keep the dynamo working until driven out by the water, then remaining concealed on top of the cylinders. The guns' crews had to remain concealed in their gun houses for nearly half an hour, while the ship slowly sank lower in the water! HONOURS FOR SERVICES IN ACTION WITH ENEMY SUBMARINES. To receive the Victoria Cross. Lieut. Ronald Neil Stuart, D.S.O., R.N.R. Sea. William Williams, R.N.R., O.N. 6224A. Lieutenant Stuart and Seaman Williams were selected by the officers and ship's company respectively of one of H.M. Ships to receive the Victoria Cross under Rule 13 of the Royal Warrant dated the 29th January, 1856. Action of H.M.S. Pargust on the 7th June, 1917. On the 7th June, 1917, while disguised as a British merchant vessel with a dummy gun mounted aft, H.M.S. Pargust was torpedoed at very close range. Her boiler-room, engine-room, and No. 5 hold were immediately flooded, and the starboard lifeboat was blown to pieces. The weather was misty at the time, fresh breeze and a choppy sea. The panic party, under the command of Lieutenant P. R. Hereford, D.S.C., R.N.R., abandoned ship, and as the last boat was shoving off, the periscope of the submarine was observed close before the port beam about 4000 yards distant. The enemy then submerged, and periscope re- appeared directly astern, passing to the starboard quarter, and then round to the port beam, when it turned again towards the ship, breaking surface about 50 yards away. 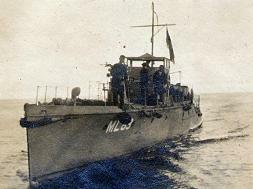 The lifeboat, acting as a lure, commenced to pull round the stern; submarine followed-closely and Lieutenant Hereford, with complete disregard of the danger incurred from fire of either ship or submarine (who had trained a maxim on the lifeboat), continued to decoy her to within 50 yards of the ship. The Pargust then opened fire with all guns, and the submarine, with oil squirting from her side and the crew pouring out of the conning tower, steamed slowly across the bows with a heavy list.. The enemy crew held up their hands in token of surrender, whereupon fire immediately ceased. The submarine then began to move away at a gradually increasing speed, apparently endeavouring to escape in the mist. Fire was reopened until she sank, one man clinging to the bow as she went down. The boats, after a severe pull to windward, succeeded in saving one officer and one man. American Destroyers and a British sloop arrived shortly afterwards, and the Pargust was towed back to port. As on the previous occasions, officers and men displayed the utmost courage and confidence in their captain, and the action serves as an example of what perfect discipline, when coupled with such confidence, can achieve. Lieut. Charles George Bonner, D.S.C., R.N.R. P.O. Ernest Pitcher, O.N. 227029 (Po.). P.O. Pitcher was selected by the crew of a gun of one of H.M. ships to receive the Victoria Cross under Rule 13 of the Royal Warrant dated the 29th January, 1856. Action of H.M.S. Dunraven on the 8th August, 1917. On the 8th August, 1917, H.M.S. Dunraven, under the command, of Captain Gordon Campbell, V.C., D.S.O., R.N., sighted an enemy submarine on the horizon. In her role of armed British merchant ship, the Dunraven continued her zig-zag course, whereupon the submarine closed, remaining submerged to within 5,000 yards, and then, rising to the surface, opened fire. The Dunraven returned the fire with her merchant ship gun, at the same time reducing speed to enable the enemy to overtake her. Wireless signals were also sent out for the benefit of the submarine: Help ! come quickly—submarine chasing and shelling me. Finally, when the shells began falling close, the Dunraven stopped and abandoned ship by the panic party. The ship was then being heavily shelled, and on fire aft. In the meantime the submarine closed to 400 yards distant, partly obscured from view by the dense clouds of smoke issuing1 from the Dunraven's stern. Despite the knowledge that the after magazine must inevitably explode if he waited, and further, that a gun and gun's crew lay concealed over the magazine, Captain Campbell decided to reserve his fire until the submarine had passed clear of the smoke. A moment later, however, a heavy explosion occurred aft, blowing the gun and gun's crew into the air, and accidentally starting the fire-gongs at the remaining gun positions; screens were immediately dropped, and the only gun that would bear opened fire, but the submarine, apparently frightened by the explosion, had already commenced to submerge. Realising that a torpedo must inevitably follow, Captain Campbell ordered the surgeon to remove all wounded and conceal them in cabins; hoses were also turned on the poop, which was a mass of flames. A signal was sent out warning men-of-war to divert all traffic below the horizon in order that nothing should interrupt the final phase of the action. Twenty minutes later a torpedo again struck the ship abaft the engine-room. An additional party of men were again sent away as a panic party, and left the ship to outward appearances completely abandoned, with the White Ensign flying and guns unmasked. For the succeeding fifty minutes the submarine examined the ship through her periscope. During this period boxes of cordite and shells exploded every few minutes, and the fire on the poop still blazed furiously. Captain Campbell and the handful of officers and men who remained on board lay hidden during this ordeal. The submarine then rose to the surface astern, where no guns could bear and shelled the ship closely for twenty minutes. The enemy then submerged and steamed past the ship 150 yards off, examining her through the periscope. Captain Campbell decided then to fire one of his torpedoes, but missed by a few inches. The submarine crossed the bows and came slowly down the other side, whereupon a second torpedo was fired and missed again. The enemy observed it and immediately submerged. Urgent signals for assistance were immediately sent out, but pending arrival of assistance Captain Campbell arranged for a third panic party to jump overboard if necessary and leave one gun's crew on board for a final attempt to destroy the enemy, should he again attack. Almost immediately afterwards, however, British and American destroyers arrived on the scene, the wounded were transferred, boats were recalled and the fire extinguished. The Dunraven although her stern was awash, was taken in tow, but the weather grew worse, and early the following morning she sank with colours flying. Lieutenant Archibald Bisset Smith, RNR For most conspicuous gallantry and devotion to duty when in command of the S S Otaki. At about 2.30 pm on 10th March, 1917 the S S Otaki, whose armament consisted of one 4.7 in gun for defensive purposes, sighted the disguised German raider Moewe, which was armed with four 5.9 inch, one 4.1 inch and two 22 pdr guns, and two torpedo tubes. The Moewe kept the Otaki under observation for some time and finally called upon her to stop This Lieutenant Smith refused to do, and a duel ensued at ranges of 1900-2000 yards, and lasted for about 20 minutes. During this action, the Otaki scored several hits on the Moewe, causing considerable damage, and starting a fire, which lasted for three days. She sustained several casualties and received much damage herself, and was heavily on fire. Lieutenant Smith, therefore, gave orders for the boats to be lowered to allow the crew to be rescued. He remained on the ship himself and went down with her when she sank with the British colours still flying, after what was described in an enemy account as a duel as gallant as naval history can relate. Maj. Frederick William Lumsden, D.S.O., R.M.A. For most conspicuous bravery, determination and devotion to duty. Six enemy field guns having been captured, it was necessary to leave them in dug-in positions, 300 yards in advance of the position held by our troops. The enemy kept the captured guns under heavy fire. Maj. Lumsden undertook the duty of bringing the guns into our lines. In order to effect this, he personally led four artillery teams and a party of infantry through the hostile barrage. As one of these teams sustained casualties, he left the remaining teams in a covered position, and, through very heavy rifle, machine gun and shrapnel fire, led the infantry to the guns. By force of example and inspiring energy he succeeded in sending back two teams with guns, going through the barrage with the teams of the third gun. He then returned to the guns to await further teams, and these he succeeded in attaching to two of the three remaining guns, despite rifle fire, which had become intense at short range, and removed the guns to safety. By this time the enemy, in considerable strength, had driven through the infantry covering points, and blown up the breach of the remaining gun. Maj. Lumsden then returned, drove off the enemy, attached the gun to a team and got it away. Act. Lieut, (now Lieut. -Cdr.) William Edward Sanders, R.N.R. Action of H.M.S. Prize on the 30th April, 1917. H.M.S. Prize, a topsail schooner of 200 tons, under command of Lieutenant William Edward Sanders, R.N.R., sighted an enemy submarine on the 30th April, 1917. The enemy opened fire at three miles range and approached slowly astern. The panic party, in charge of Skipper William Henry Brewer, R.N.R. (Trawler Section), immediately abandoned ship. Ship's head was put into the wind, and the guns' crews concealed themselves by lying face downwards on the deck. The enemy continued deliberately shelling the schooner, inflicting severe damage and wounding a number of men. For 20 minutes she continued to approach, firing as she came, but at length, apparently satisfied that no one remained on board, she drew out on the schooner's quarter 70 yards away. The white ensign was immediately hoisted, the screens dropped, and all guns opened fire. A shell struck the foremost gun of the submarine, blowing it to atoms and annihilating the crew. Another shot demolished the conning tower, and at the same time a Lewis gun raked the survivors off the submarine's deck. She sank four minutes after the commencement of the action in clouds of smoke, the glare of an internal fire being visible through the rents in her hull. The captain of the submarine, a warrant-officer and one man were picked up and brought on board the Prize, which was then herself sinking fast. Captors and prisoners, however, succeeded in plugging the shot holes and keeping the water, under with the pumps. The Prize then set sail for the land, 120 miles distant. They were finally picked up two days later by a motor-launch and towed the remaining five miles into harbour. HONOURS FOR SERVICE IN THE ACTION IN THE STRAITS OF OTRANTO ON THE 15th MAY, 1917. Skipper Joseph Watt, R.N.R., 1206 W.S. A. For most conspicuous gallantry when the Allied Drifter line in the Straits of Otranto was attacked by Austrian light cruisers on the morning of the 15th May, 1917. When hailed by an Austrian cruiser at about 100 yards range and ordered to stop and abandon his drifter the Gowan Lea, Skipper Watt ordered full speed ahead and called upon his crew to give three cheers and fight to the finish. The cruiser was then engaged, but after one round had been, fired, a shot from the enemy disabled the breech of the drifter's gun. The gun's crew, however, stuck to the gun, endeavouring to make it work, being under heavy fire all the time. After the cruiser had passed on Skipper Watt took the Gowan Lea alongside the badly-damaged drifter Floandi and assisted to remove the dead and wounded. Posthumous Award of the Victoria Cross. 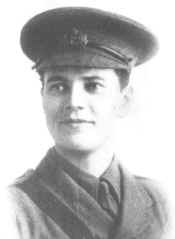 Skipper Thomas Crisp, R.N.R., 10055D.A (killed in action - above left (FH)). Action of H.M. Armed Smack Nelson on the 15th August, 1917. On the 15th August, 1917, the Smack Nelson was engaged in fishing when she was attacked by gunfire from an enemy submarine. The gear was let go and the submarine's fire was returned. The submarine's fourth shot went through the port bow just below the waterline, and the seventh shell struck the skipper, Thomas Crisp, partially disembowelling him, and passed through the deck and out through the side of the ship. In spite of the terrible nature of his wound Skipper Crisp retained consciousness, and his first thought was to send off a message that he was being attacked and giving his position. He continued to command his ship until the ammunition was almost exhausted and the smack was sinking. He refused to be moved into the small boat when the rest of the crew were obliged to abandon the vessel as she sank, his last request being that he might be thrown overboard. Action in the Heligoland Bight on the 17th November, 1917. Ord. Sea. John Henry Carless, O.N. J.43703 (Po.) (killed in action). For most conspicuous bravery and devotion to duty. Although mortally wounded in the abdomen, he still went on serving the gun at which he was acting as rammer, lifting a projectile and helping to clear away the other casualties. He collapsed once, but got up, tried again, and cheered on the new gun's crew. He then fell and died. He not only set a very inspiring and memorable example, but he also, whilst mortally wounded, continued to do effective work against the King's enemies. For most conspicuous gallantry and devotion to duty as Commanding Officer of H.M. Submarine E 14 on the 28th of January, 1918. E 14 left Mudros on the 27th of January under instructions to force the Narrows and attack the Goeben, which was reported aground off Nagara Point after being damaged during her sortie from the Dardanelles. The latter vessel was not found and E 14 turned back. At about 8.45 a.m. on the 28th of January a torpedo was fired from E 14 at an enemy ship; 11 seconds after the torpedo left the tube a heavy explosion took place, caused all lights to go out, and sprang the fore hatch. Leaking badly the boat was blown to 15 feet, and at once a heavy fire came from the forts, but the hull was not hit. E 14 then dived and proceeded on her way out. Soon afterwards the boat became out of control, and as the air supply was nearly exhausted, Lieutenant-Commander White decided to run the risk of proceeding on the surface. Heavy fire was immediately opened from both sides, and, after running the gauntlet for half-an-hour, being steered from below, E 14 was so badly damaged that Lieutenant-Commander White turned towards the shore in order to give the crew a chance of being saved. He remained on deck the whole time himself until he was killed bv a shell. HONOURS FOR SERVICES IN THE OPERATIONS AGAINST ZEEBRUGGE AND OSTEND ON THE NIGHT OF THE 22ND-23RD APRIL, 1918. Commander (Acting Captain) Alfred Francis Blakeney Carpenter, R.N. For most conspicuous gallantry. This officer was in command of Vindictive (above left - some years earlier, right - after the Zeebrugge Raid (both NP)). He set a magnificent example to all those under his command by his calm composure when navigating mined waters, bringing his ship alongside the mole in darkness. When Vindictive was within a few yards of the mole the enemy started and maintained a heavy fire from batteries, machine guns and rifles on to the bridge. He showed most conspicuous bravery, and did much to encourage similar behaviour on the part of the crew, supervising the landing from the Vindictive on to the mole, and walking round the decks directing operations and encouraging the men in the most dangerous and exposed positions. By his encouragement to those under him, his power of command and personal bearing, he undoubtedly contributed greatly to the success of the operation. Capt. Carpenter was selected by the officers of the Vindictive, Iris II., and Daffodil, and of the naval assaulting force to receive the Victoria Cross under Rule 13 of the Royal Warrant, dated the 29th January, 1866. For most conspicuous gallantry. 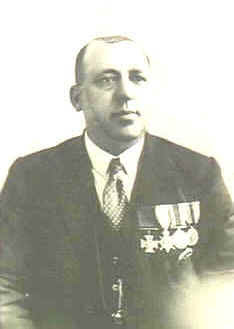 This officer was in command of Submarine C.3 (above - left hand boat (MQ)), and most skilfully placed that vessel in between the piles of the viaduct before lighting his fuse and abandoning her. He eagerly undertook this hazardous enterprise, although, well aware (as were all his crew) that if the means of rescue failed and he or any of his crew were in the water at the moment of the explosion, they would be killed outright by the force of such explosion. 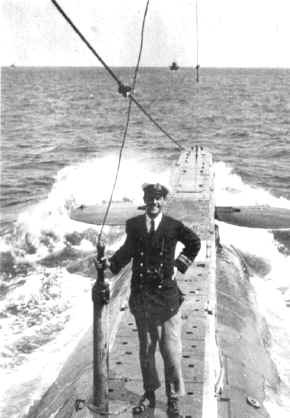 Yet Lieutenant Sandford disdained to use the gyro steering, which would have enabled him and his crew to abandon the submarine at a safe distance, and preferred to make sure, as far as was humanly possible, of the accomplishment of his duty. Lieutenant Percy Thompson Dean, R.N.V.R. (Motor Launch 282) (above, sister launch ML.531 (AH)). For most conspicuous gallantry. Lieutenant Dean handled his boat in a most magnificent and heroic manner when embarking the officers and men from the blockships at Zeebrugge. He followed the blockships in and closed Intrepid and Iphigenia under a constant and deadly fire from machine and heavy guns at point blank range, embarking over 100 officers and men. This completed, he was proceeding out of the canal, when he heard that an officer was in the water. He returned, rescued him, and then proceeded, handling his boat throughout as calmly as if engaged in a practice manoeuvre. Three men were shot down at his side whilst he conned his ship. On clearing the entrance to the canal the steering, gear broke down. He manoeuvred his boat by the engines, and avoided complete destruction by steering so close in under the mole that the guns in the batteries could not depress sufficiently to fire on the boat. The whole of this operation was carried out under a constant machine-gun fire at a few yards range. It was solely due to this officer's courage and daring that M.L.282 succeeded in saving so many valuable lives. 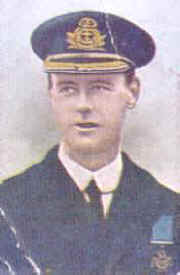 Captain Edward Bamford, D.S.O., R.M.L.I. For most conspicuous gallantry. This officer landed on the mole from Vindictive with numbers 5, 7 and 8 platoons of the marine storming force, in the face of great difficulties. When on the mole and under heavy fire, he displayed the greatest initiative in the command of his company, and by his total disregard of danger showed a magnificent example to his men. He first established a strong point on the right of the disembarkation, and, when satisfied that that was safe, led an assault on a battery to the left with the utmost coolness and valour. 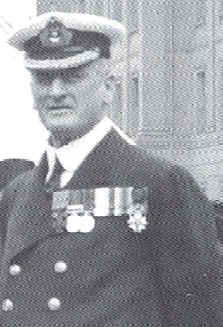 Captain Bamford was selected by the officers of the R.M.A. and R.M.L.I. detachments to receive the Victoria Cross under Rule 13 of the Royal Warrant, dated the 29th January, 1856. Serjeant Norman Augustus Finch, R.M.A., No. R.M.A./12150. For most conspicuous gallantry. 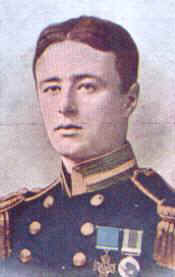 Serjeant Finch was second in command of the pompoms and Lewis guns in the foretop of Vindictive, under Lieutenant Charles N. B. Rigby, R.M.A. At one period the Vindictive was being hit every few seconds, chiefly in the upper works, from which splinters caused many casualties. It was difficult to locate the guns which were doing the most damage, but Lieutenant Rigby, Serjeant Finch and the Marines in the foretop, kept up a continuous fire with pompoms and Lewis guns, changing rapidly from one target to another, and thus keeping the enemy's fire down to some considerable extent. Unfortunately two heavy shells made direct hits on the foretop, which was completely exposed to enemy concentration of fire. All in the top were killed or disabled except Serjeant Finch, who was, however, severely wounded; nevertheless he showed consummate bravery, remaining in his battered and exposed position. He once more got a Lewis gun into action, and kept up a continuous fire, harassing the enemy on the mole, until the foretop received another direct hit, the remainder of the armament being then completely put out of action. Before the top was destroyed Serjeant Finch had done invaluable work, and by his bravery undoubtedly saved many lives. This very gallant serjeant of the Royal Marine Artillery was selected by the 4th Battalion of Royal Marines, who were mostly Royal Marine Light Infantry, to receive the Victoria Cross under Rule 13 of the Royal Warrant dated 29th January, 1856. 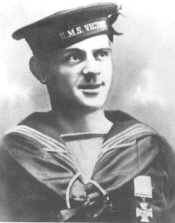 Able Seaman Albert Edward McKenzie, O.N. J31736 (Ch.). For most conspicuous gallantry. This rating belonged to B Company of seaman storming party. On the night of the operation he landed on the mole with his machine-gun in the face of great difficulties and did very good work, using his gun to the utmost advantage. He advanced down the mole with Lieutenant-Commander Harrison, who with most of his party was killed, and accounted for several of the enemy running from a shelter to a destroyer alongside the mole. This very gallant seaman was severely wounded whilst working his gun in an exposed position. Able Seaman McKenzie was selected by the men of the Vindictive, Iris II, and Daffodil and of the naval assaulting force to receive the Victoria Cross under Rule 13 of the Royal Warrant dated the 29th January, 1856. For most conspicuous gallantry at Zeebrugge on the night of the 22nd-23rd April, 1918. This officer was in command of the Naval Storming Parties embarked in Iris II. When Iris II. proceeded alongside the Mole great difficulty was experienced in placing the parapet anchors owing to the motion of the ship. An attempt was made to land by the scaling ladders before the snip was secured. Lieutenant Claude E. K. Hawkings (late Erin) managed to get one ladder in position and actually reached the parapet, the ladder being crashed to pieces just as he stepped off it. This very gallant young officer was last seen defending himself with his revolver. He was killed on the parapet. Though securing the ship was not part of his duties, Lieut.-Commander Bradford climbed up the derrick, which carried a large parapet anchor and was rigged out over the port side; during this climb the ship was surging up and down and the derrick crashing on the Mole; waiting his opportunity he jumped with the parapet anchor on to the Mole and placed it in position. Immediately after hooking on the parapet anchor Lieut.-Commander Bradford was riddled with bullets from machine guns and fell into the sea between the Mole and the ship. Attempts to recover his body failed. Lieut.-Commander Bradford's action was one of absolute self-sacrifice; without a moment's hesitation he went to certain death, recognising that in such action lay the only possible chance of securing Iris II and enabling her storming parties to land. 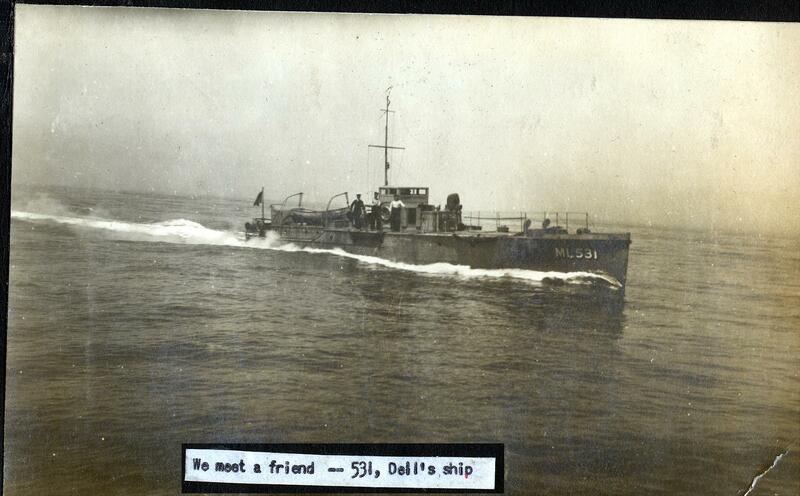 For most conspicuous gallantry at Zeebrugge on the night of the 22nd-23rd April, 1918. This officer was in immediate command of the Naval Storming Parties embarked in Vindictive. Immediately before coming alongside the Mole Lieut.-Commander Harrison was struck on the head by a fragment of a shell which broke his jaw and knocked him senseless. Recovering consciousness he proceeded on to the Mole and took over command of his party, who were attacking the seaward end of the Mole. The silencing of the guns on the Mole head was of the first importance, and though in a position fully exposed to the enemy's machine-gun fire Lieut.-Commander Harrison gathered his men together and led them to the attack. He was killed at the head of his men, all of whom were either killed or wounded. Lieut.-Commander Harrison, though already severely wounded and undoubtedly in great pain, displayed indomitable resolution and courage of the highest order in pressing his attack, knowing as he did that any delay in silencing the guns might jeopardize the main object of the expedition, i.e., the blocking of the Zeebrugge-Bruges Canal. 2.—Aerial photographs taken prior to the operation clearly showed that the enemy had made special preparations in anticipation of a renewed attack. 3.—The operation was carried out in mined waters in the face of a tremendous fire, and the greatest credit is due to those who so readily volunteered for hazardous service in the Vindictive and in motor launches detailed for rescue work, and to the crews of the numerous craft which covered and screened the approach of the Vindictive, led her to her objective, and rescued the survivors of her crew after she had been blown up between the piers of Ostend harbour. Lieut. Geoffrey H. Drummond, R.N.V.R. Volunteered for rescue work in command of M.L. 254 (above, sister launch ML.482 (AH)). Following Vindictive to Ostend, when off the piers a shell burst on board, killing Lieutenant Gordon Ross and Deckhand J. Thomas, wounding the coxswain, and also severely wounding Lieutenant Drummond in three places. Notwithstanding his wounds he remained on the bridge, navigated his vessel, which was already seriously damaged by shell fire, into Ostend harbour, placed her alongside Vindictive, and took off two officers and thirty-eight men—some of whom were killed and many wounded while embarking. When informed that there was no one alive left on board he backed his vessel out clear of the piers before sinking exhausted from his wounds. When H.M.S. Warwick fell in with M.L. 254 off Ostend half an hour later the latter was in a sinking condition. It was due to the indomitable courage of this very gallant officer that the majority of the crew of the Vindictive were rescued. Volunteered for rescue work in command of M.L. 276 (above, sister launch ML.83 (AH)), and followed Vindictive into Ostend, engaging the enemy's machine guns on both piers with Lewis guns. After M.L. 254 had backed out Lieutenant Bourke (left (AH)) laid his vessel alongside Vindictive to make further search. Finding no one he withdrew, but hearing cries in the water he again entered the harbour, and after a prolonged search eventually found Lieutenant Sir John Alleyne and two ratings, all badly wounded, in the water, clinging to an upended skiff, and rescued them. During all this time the motor launch was under a very heavy fire at close range, being hit in fifty-five places, once by a 6 in. shell—two of her small crew being killed and others wounded. The vessel was seriously damaged and speed greatly reduced . Lieutenant Bourke, however, managed to bring her out and carry on until he fell in with a Monitor, which took him in tow. This episode displayed daring and skill of a very high order, and Lieutenant Bourke's bravery and perseverance undoubtedly saved the lives of Lieutenant Alleyne and two of the Vindictive's crew. Lieut. Victor A. C. Crutchley, D.S.C., R.N. This officer was in Brilliant in the unsuccessful attempt to block Ostend on the night of 22nd/23rd April, and at once volunteered for a further effort. He acted as 1st Lieut, of Vindictive, and worked with untiring energy fitting out that ship for further service. On the night of 9th/10th May, after his commanding officer had been killed and the second in command severely wounded, Lieut. Crutchley took command of Vindictive and did his utmost by manoeuvring the engines to place that ship in an effective position. He displayed great bravery both in the Vindictive and in M.L. 254, which rescued the crew after the charges had been blown and the former vessel sunk between the piers of Ostend harbour, and did not himself leave the Vindictive until he had made a thorough search with an electric torch for survivors under a very heavy fire. Lieut, Crutchley took command of M.L. 254 when the commanding officer sank exhausted from his wounds, the second in command having been killed. The vessel was full of wounded and very seriously damaged by shell fire, the fore part being flooded. 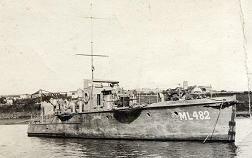 With indomitable energy and by dint of baling with buckets and shifting weight aft, Lieut. Crutchley and the unwounded kept her afloat, but the leaks could not be kept under, and she was in a sinking condition, with her forecastle nearly awash when picked up by H.M.S. Warwick. The bearing of this very gallant officer and fine seaman throughout these operations off the Belgian coast was altogether admirable and an inspiring example to all thrown in contact with him. Lieut.-Cdr. Geoffrey Heneage Drummond, R.N.V.R. Lieut.-Cdr. Roland Bourke, D.S.O., R.N.V.R. Lieut. Victor Alexander Charles Crutchley, D.S.C., R.N. Lieut. Harold Auten, D.S.C., R.N.R. Action of H.M.S. Stock Force, on the 30th July 1918. H.M.S. Stock Force, under the command of Lieutenant Harold Auten, D.S.C., R.N.R., was torpedoed by an enemy submarine at 5 p.m. on the 30th July, 1918. The torpedo struck the ship abreast No. 1 hatch, entirely wrecking the fore part of the ship, including the bridge, and wounding three ratings. A tremendous shower of planks, unexploded shells, hatches and other debris followed the explosion, wounding the first lieutenant (Lieutenant E. J. Grey, R.N.R.) and the navigating officer (Lieutenant L. E. Workman, R.N.R.) and adding to the injuries of the foremost gun's crew and a number of other ratings. The ship settled down forward, flooding the foremost magazine and between decks to the depth of about three feet. Panic party, in charge of Lieutenant Workman, R.N.R., immediately abandoned ship, and the wounded were removed to the lower deck, where the surgeon (Surgeon Probationer G. E. Strahan, R.N.V.R. ), working up to his waist in water, attended to their injuries. The captain, two guns' crews and the engine-room staff remained at their posts. The submarine then came to the surface ahead of the ship half a mile distant, and remained there a quarter of an hour, apparently watching the ship for any doubtful movement. The ''panic party” in the boat accordingly commenced to row back towards the ship in an endeavour to decoy the submarine within range of the hidden guns. The submarine followed, coming slowly down the port side of the Stock Force, about three hundred yards away. Lieutenant Auten, however, withheld his fire until she was abeam, when both of his guns could bear. Fire was opened at 5.40 p.m.; the first shot carried away one of the periscopes, the second round hit the conning tower, blowing it away and throwing the occupant high into the air. The next round struck the submarine on the water-line, tearing her open and blowing out a number of the crew. The enemy then subsided several feet into the water and her bows rose. She thus presented a large and immobile target into which the Stock Force poured shell after shell until the submarine sank by the stern, leaving a quantity of debris on the water. During the whole of the action one man (Officer's Steward, 2nd Class, R. J. Starling) remained pinned down under the foremost gun after the explosion of the torpedo, and remained there cheerfully and without complaint, although the ship was apparently sinking, until the end of the action. The Stock Force was a vessel of 360 tons, and despite the severity of the shock sustained by the officers and men when she was torpedoed and the fact that her bows were almost obliterated, she was kept afloat by the exertions of her ship's company until 9.25 p.m. She then sank with colours flying, and the officers and men were taken off by two torpedo boats and a trawler. The action was cited as one of the finest examples of coolness, discipline and good organisation in the history of Q ships. The London Gazette 15 November 1918 (from the War Office). T./Comdr. Daniel Marcus William Beak, D.S.O., M.C., R.N.V.R. For most conspicuous bravery, courageous leadership and devotion to duty during a prolonged period of operations. He led his men in attack, and, despite heavy machine-gun fire, four enemy positions were captured. His skilful and fearless leadership resulted in the complete success of this operation and enabled other battalions to reach their objectives. Four days later, though dazed by a shell fragment, in the absence of the brigade commander, he reorganised the whole brigade under extremely heavy gun fire and led his men with splendid courage to their objective. An attack having been held up he rushed forward, accompanied by only one runner, and succeeded in breaking up a nest of machine guns, personally bringing back nine or ten prisoners. His fearless example instilled courage and confidence in his men, who then quickly resumed the advance under his leadership. On a subsequent occasion he displayed great courage and powers of leadership in attack, and his initiative, coupled with the confidence with which he inspired all ranks, not only enabled his own and a neighbouring unit to advance, but contributed very materially to the success of the Naval Division in these operations. No. WZ/424 Chief Petty Officer George Prowse, R.N.V.R. (Landore). For most conspicuous bravery and devotion to duty when, during an advance, a portion of his company became disorganised by heavy machine-gun fire from an enemy strong point. Collecting what men were available he led them with great coolness and bravery against this strong point, capturing it together with twenty-three prisoners and five machine-guns. Later, he took a patrol forward in face of much enemy opposition, and established it on important high ground. On another occasion he displayed great heroism by attacking single-handed an ammunition limber which was trying to recover ammunition, killing three men who accompanied it and capturing the limber. Two days later he rendered valuable services when covering the advance of his company with a Lewis-gun section, and located later on two machine-gun positions in a concrete emplacement, which were holding up the advance of the battalion on the right. With complete disregard of personal danger he rushed forward with a small party and attacked and captured these posts, killing six enemy and taking thirteen prisoners and two machine guns. He was the only survivor of this gallant party, but by this daring and heroic action he enabled the battalion on the right to push forward without further machine-gun fire from the village. Throughout the whole operations his magnificent example and leadership were an inspiration to all, and his courage was superb. in recognition of his conspicuous gallantry, coolness and skill under extremely difficult conditions in action. 34. In order to deal with any attempt by heavy ships to break out—as well as to maintain an effective, patrol on the entrance to Petrograd Bay, I considered it advisable to lay mines so as to restrict the movements of the enemy, and this was done by Princess Margaret (Captain Harry H. Smyth, C.M.G., D.S.O.) and the 20th Destroyer Flotilla (Captain (D) Berwick Curtis, C.B., D.S.O.). 35. On 17th June our lookouts reported a Cruiser (Oleg) and two Destroyers at anchor West of Kronstadt, and also a Submarine moving Westward. 36. A few minutes after midnight a sudden burst of firing was heard by our outpost Destroyers, which, as suddenly ceased, and next day Lieutenant Augustine W. S. Agar, R.N., informed me that he had torpedoed the Cruiser Oleg at anchor, the torpedo hitting, her about the foremost funnel, and came under heavy fire from the Destroyers on retiring. Commander Claude Congreve Dobson, D.S.O., R.N. For most conspicuous gallantry, skill and devotion to duty on the occasion of the attack on Kronstadt Harbour on the 18th August, 1919. Commander Dobson organised and was in command of the Coastal Motor Boat Flotilla. He led the flotilla through the chain of forts to the entrance of the harbour. Coastal Motor Boat No. 31, from which he directed the general operations, then passed in, under a very heavy machine-gun fire, and torpedoed the Bolshevik Battleship Andrei Pervozanni, subsequently returning through the heavy fire of the forts and batteries to the open sea. Lieutenant Gordon Charles Steele, R.N. For most. conspicuous gallantry, skill and devotion to duty on the occasion of the attack on Kronstadt Harbour on the 18th August, 1919. Lieutenant Steele was second-in-command of H.M. Coastal Motor Boat No. 88. 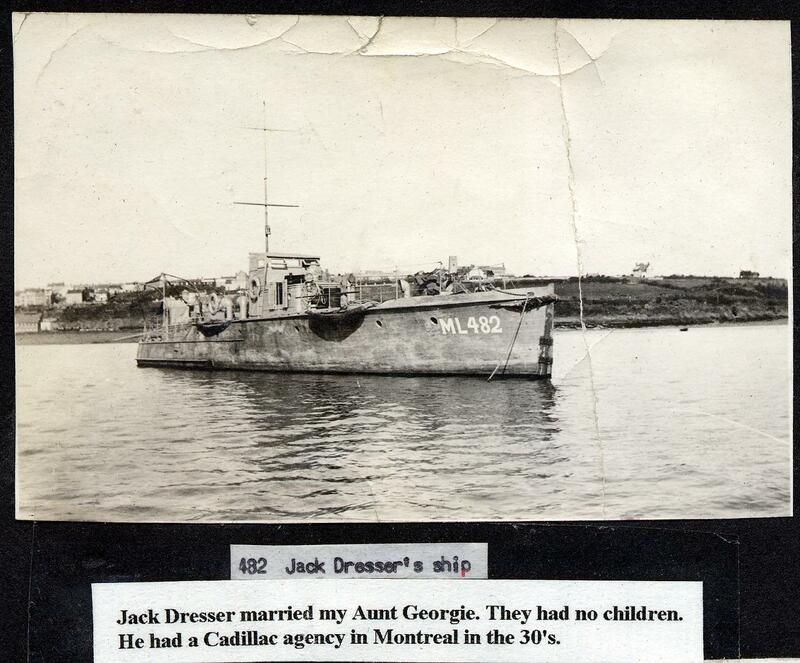 After this boat had entered the harbour the Commanding Officer, Lieutenant Dayrell-Reed, was shot through the head and the boat thrown off her course. 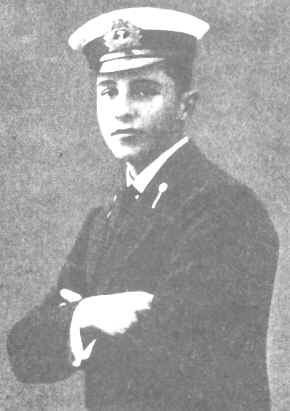 Lieutenant Steele took the wheel, steadied the boat, lifted Lieutenant Dayrell-Reed away from the steering and firing position and torpedoed the Bolshevik battleship Andrei Pervozanni at a hundred yards range. He had then a difficult manoeuvre to perform to get a clear view of the battleship Petropavlovsk, which was overlapped by the Andrei Pervozanni and obscured by smoke coming from that ship. The evolution, however, was skilfully carried out, and the Petropavlovsk torpedoed. This left Lieutenant. Steele with only just room to turn, in order to regain the entrance to the harbour, but he effected the movement with success and firing his machine guns along the wall on his way, passed under the line of forts through a heavy fire out of the harbour. 40. Thereafter continued a close watch on Petrograd Bay, with frequent bombardments by us of Bolshevik positions on the Southern Shore, and occasional shellings by Fort Krasnaya Gorka and other guns, varied by attacks, by enemy submarines on our vessels, and intermittent activity by Bolshevik Destroyers and Minesweepers, with occasional appearances outside the harbour by larger craft. 41. On the morning of 18th August, with the object of removing, as far as possible, the threat which existed to our ships and also to the Left Flank of the Russian advance to Petrograd by the presence of the Bolshevik Active .Squadron, an attack on the ships in Kronstadt by Coastal Motor Boats and Aircraft was made. 42. The position of the ships in the harbour had been ascertained by aerial photographs. Frequent bombing raids on the harbour had also been made at varying times in the weeks beforehand. 43. The attack was planned so that all available aircraft co-operated under Squadron Leader D. G. Donald, A.F.C., R.A.F., and that they should arrive and bomb the harbour so as to drown the noise of the approach of the Coastal Motor Boats. 44. The time-table was most accurately carried out; with the result that the first three Coastal Motor Boats, under Commander Claude C. Dobson, D.S.O., passed the line of Forts and entered the harbour with scarcely a shot being fired. 45. Each boat had a definite objective—six in all. Of these six enterprises four were achieved, the results being gained not only by dauntless disciplined bravery at the moment of attack, but by strict attention to, and rehearsal of, every detail beforehand by every member of the personnel, both of the boats and also of the Air Force.